For your special pet this Bronze Colored Metal Crown Collar Charm has been engraved on the back "GUARDIAN ANGEL PET PAL". The crown is embellished with three deep royal blue rhinestones. 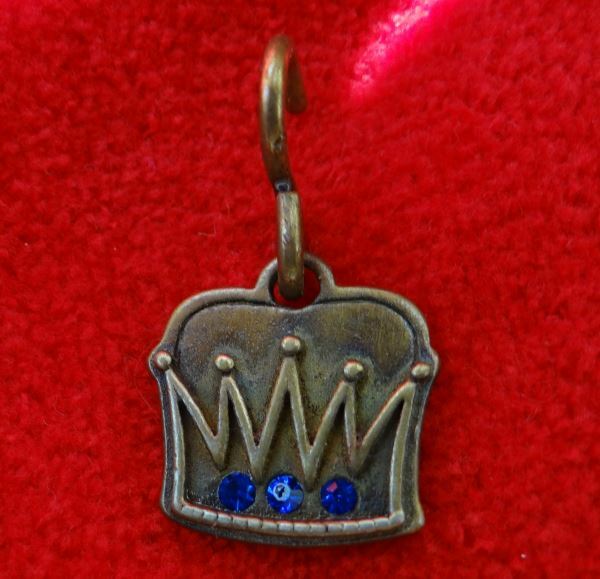 This Bronze Colored Metal Crown Collar Charm has an "S" hook for attaching to your pets collar. It measures approximately 1 1/4" from the top of the hook to the bottom of the charm and 1" across.